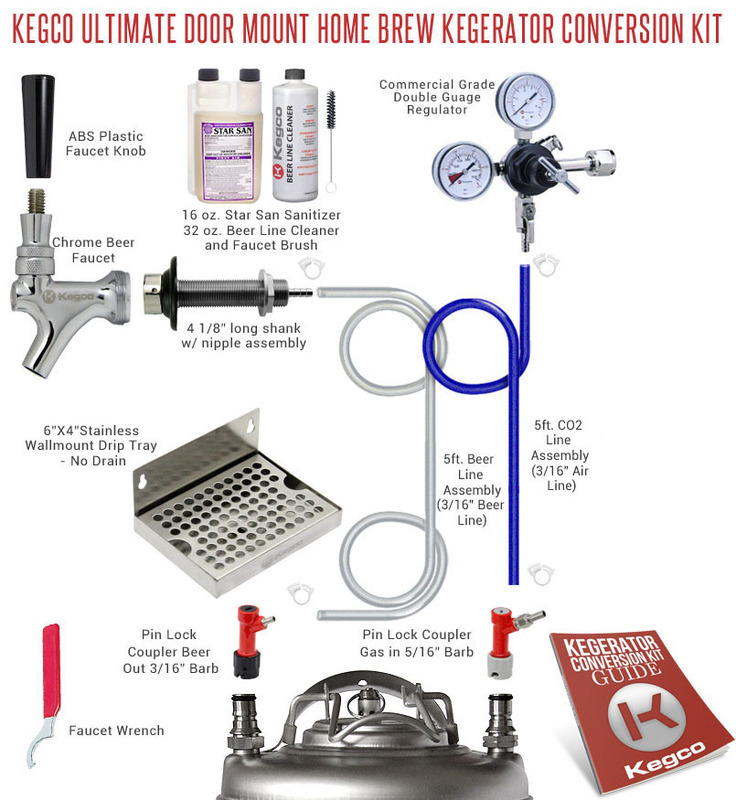 From the first pour until the last drop, this Kegco Ultimate Door Mount Home Brew Kegerator Conversion Kit has everything you'll need to successfully transform a refrigerator or freezer into a smooth operating home-brew keg beer dispenser. Featuring an NSF-approved commercial grade dual gauge regulator and pin lock keg couplers, this kit is full of high-quality draft beer components that have been designed and built to last, so you can enjoy delicious home brew beer from your very own kegerator for years to come. When you're ready to clean up, the stainless steel drip tray makes it easy to clean up any drips or spills, and Kegco has included a 32 oz. bottle of line cleaner, 16 oz. bottle of Star San Sanitizer, and faucet brush to keep your dispense system squeaky clean between kegs. Every kit comes complete with a detailed instruction guide to take the guesswork out of the conversion process, and knowledgeable product specialists are on hand at 1-800-710-9939 to answer any questions you might have.